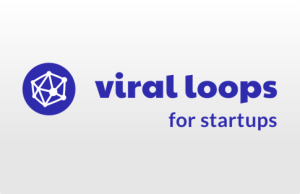 Grow your website’s traffic using referrals and viral them for seeking customer attention with the referral Marketing platform, Viral Loops. The concept behind is simple; motivate existing customers to help you find new ones through these referral programs/emails. 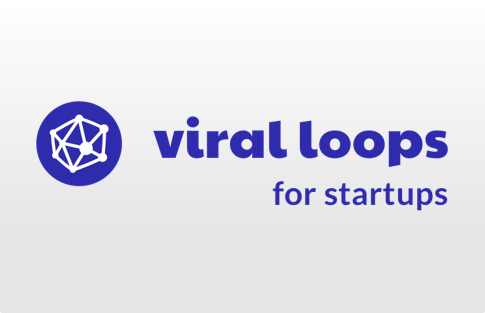 Viral Loops a growth hacking tool for startup has inbuilt reference templates inspired by successful companies, for your upcoming campaigns. Select a suitable template for your business need and customize it as you wish. Use easy and handy referrals for Pre-launch campaigns and manage them efficiently after launch with the dominant Analytics feature. No need to waste time and resources on building referral pages for your site. All you need to do is just select the desired campaign template as per your requirement from the pre-made templates of Viral Loops. The exciting thing is each template is customizable, so easily modify the content of your referral and ready with it in no time. The most important Viral feature is this. 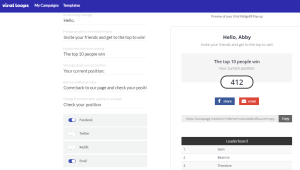 Viral Loops has already incorporated social platforms so that you can acquire more participates by giving them the freedom to share your page with their network. 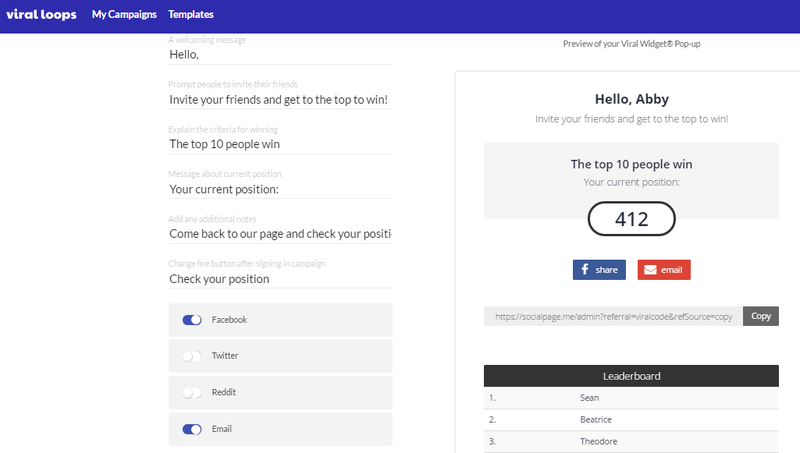 After inputs and Viral referrals, check out the progress of your campaign. 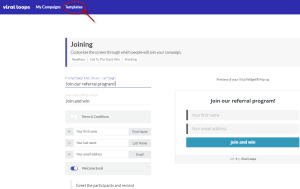 The tool provides the overview of campaigns by showing you the major entities including the total number of participants and a graphical representation. A user can manage these tracking by viewing and editing the campaign progress. With powerful insights analytics of Viral Loops, know more of your campaigns in depth. Discover the best performing and productive channels. These insights tell a user about the progression as per time with ratios. Only know your top leads through the participants list by Viral Loops and export them if needed. Viral Loops yet not offers the mobile app for it; this is purely web based application. Viral Loops integration feature includes MailChimp, Mandrill, Google Analytics, Slack, Intercom, and Mixpanel. 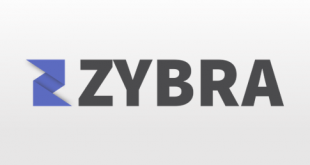 A Knowledge base exists in the app to answer user’s common queries. Additionally, you can also email them regarding the concerned issue. 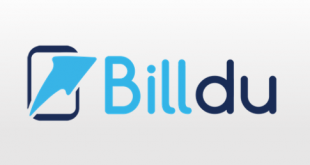 Moreover, perform live chat with them through Intercom. 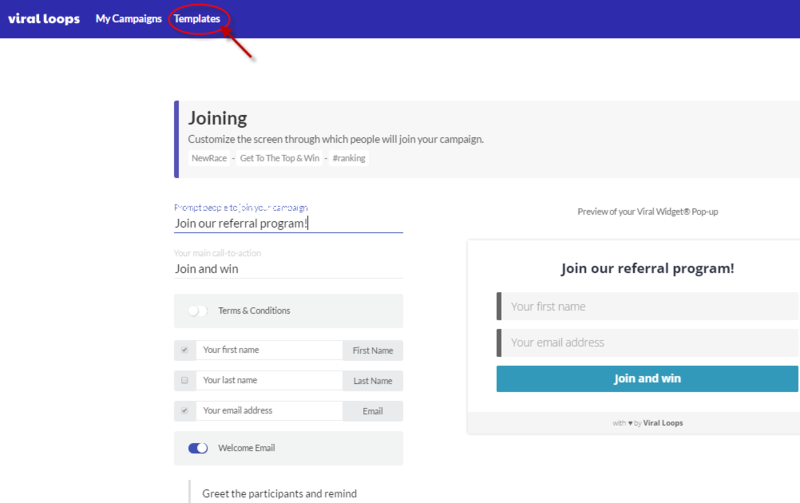 Preview is available for each template and referral email. Easy to implement snippet of code. 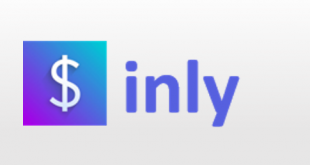 Not for any mobile application. The tool is light and comfortable with customized interface. Referrals drive a user to try regular stuff, so access Viral Loops for referring system; attracting new users through your existing consumers faster. For more details, please visit Viral Loops website.